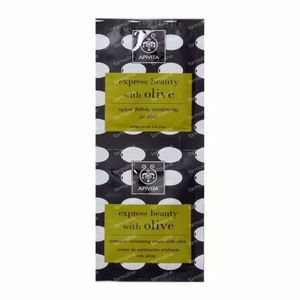 Apivita Express Intensive Exfoliating Cream with Olive FREE Offer 2x8 ml order online. Deep exfoliating cream with beads from olive grains, suitable for normal, oily and combination skin. 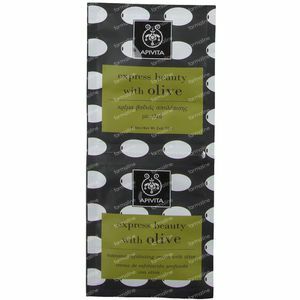 - Olive grains and salicylic acid clean the skin’s pores in depth and exfoliate by removing dead cells and impurities. 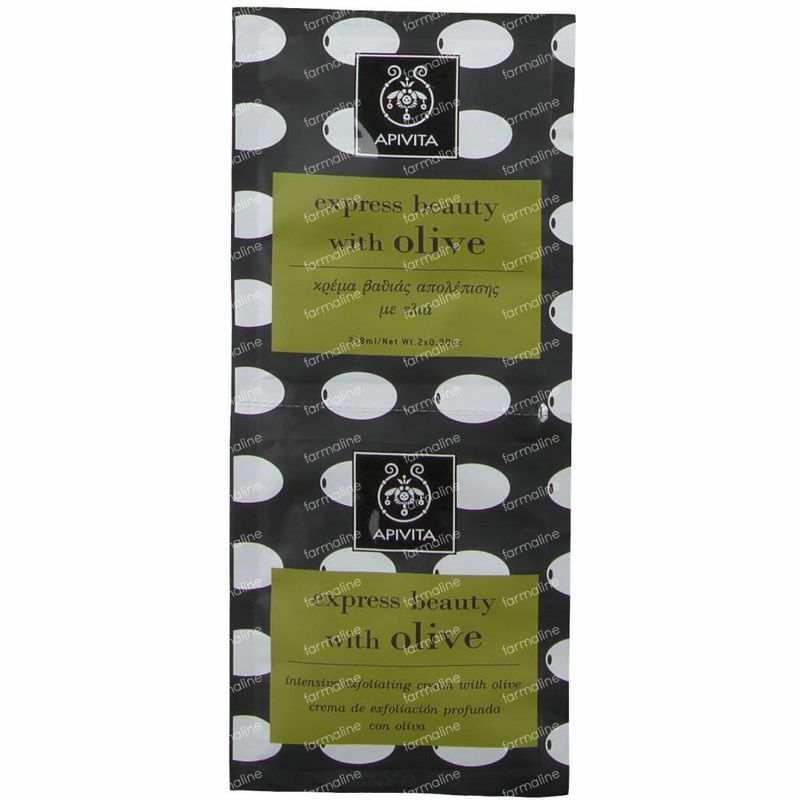 - Grape and apricot oils offer the skin a natural glow and protect from oxidation. - Vitamin E and green tea rejuvenate and renew the skin. - Menthol gives a sense of freshness. - Organic lavender essential oil has a soothing and smoothing effect. In the Express Beauty line, APIVITA has replaced water with green tea infusion for its antioxidant action. Deep exfoliating cream for oily/combination skin. Apply on cleansed, moist skin by massaging gently and avoiding the eye area. Rinse well. Use once or twice per week, or as often as needed. For external use only.